We use a lot of organic practices, but we are not strictly organic. Plowing down a green manure crop of Winter Rye and Hairy Vetch. 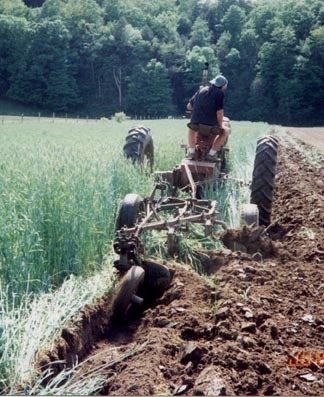 Green manures keep firtilizers out of the ground water and add both nitrogen and organic matter. Crop Rotation is most important part of our pest control program. Most of our crops are grown with no pesticides at all. Of those that are sprayed, the majority get sprays that are approved for organic production. Green manures and soil testing are at the core of our fertility program. We strive to grow healthy plants without excess fertilizers which contribute to water pollution. To achieve this balance, we augment the soil’s natural fertility and the contributions of green manures with precise amounts of chemical fertilizers. No GMOs. We do not grow any Geneticly Modified Crops. 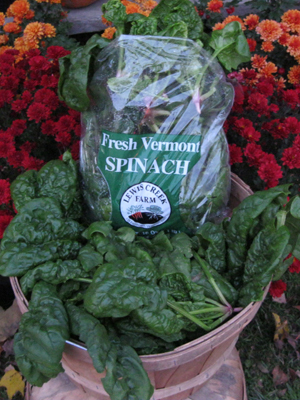 We adhere to the Vermont Ecologically Grown Standards. We have a Full Disclosure Policy (see below). Our Spinach and over half of all the crops we grow get no spays at all. 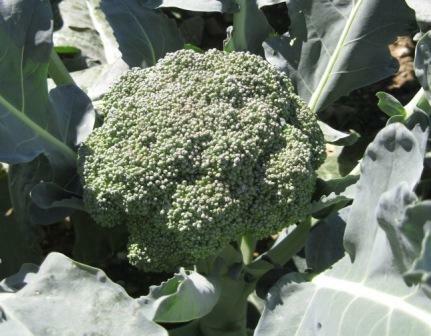 Our Broccoli is an example of a crop that only gets sprays that are approved for organic production. 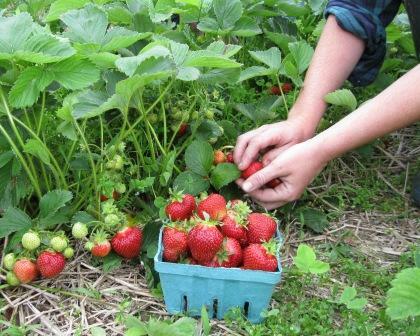 A few crops, like our Strawberries, get only one spray before there are any fruit on the plants. Look up individual crops. Find out if it was sprayed. Which crops are sprayed. Is that spray approved for organic production? Sprays we use. Which ones are organic. Are they toxic? How toxic? Which sprays are most toxic? Some organic sprays are more toxic. Why we grow this way.